Snowy Owl (Bubo scandiacus), immature. 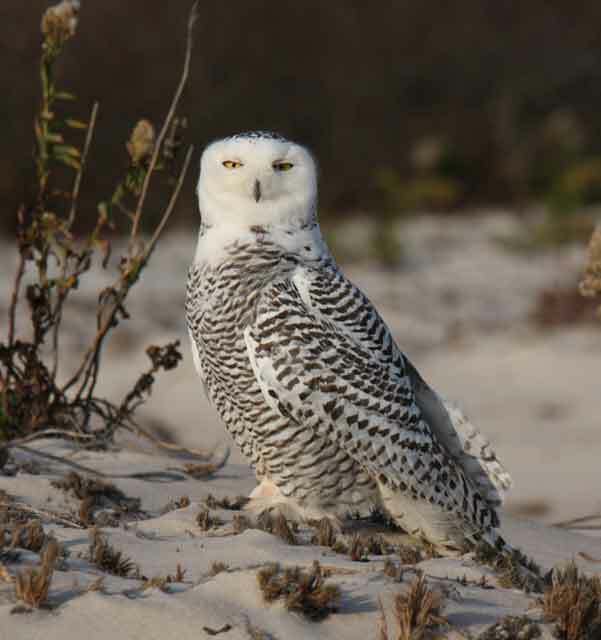 Tundra on breeding grounds, shorelines and coastal dunes in winter. Winter visitor, Long Island. Declining.